Ad veteran Bharat Dabholkar recently invited to share his life experiences at The ITCH Summit Hosted by Prahlad Kakar School Of Branding and Entrepreneurship in Mumbai’s Sydenham Collage. Dabholkar shared many of his interesting and insightful stories and one was with reference to the south superstar Rajnikant in below video. Not many know that Bharat is also a fitness freak and is ever ready to extend his support towards the cause of health and fitness in the country. Between television and theatre, Bharat prefers the latter, he feels, is more challenging he considers them parallels. 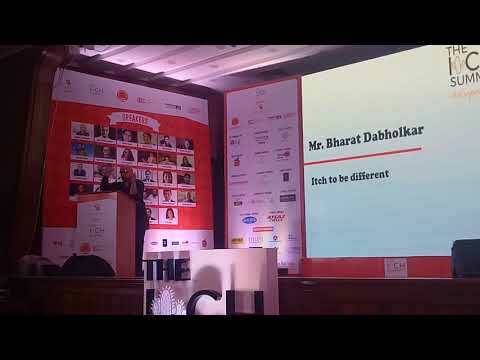 Creativity is easy and natural - Bharat Dabholkar at ITCH Summit.